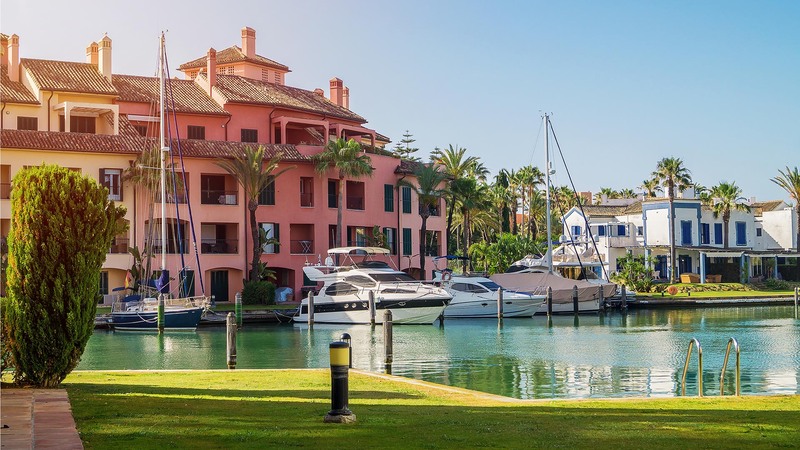 Only a Marina built in a residential complex in the category of Sotogrande, could offer such magnificent facilities such as the “Puerto Deportivo de Sotogrande” offers. 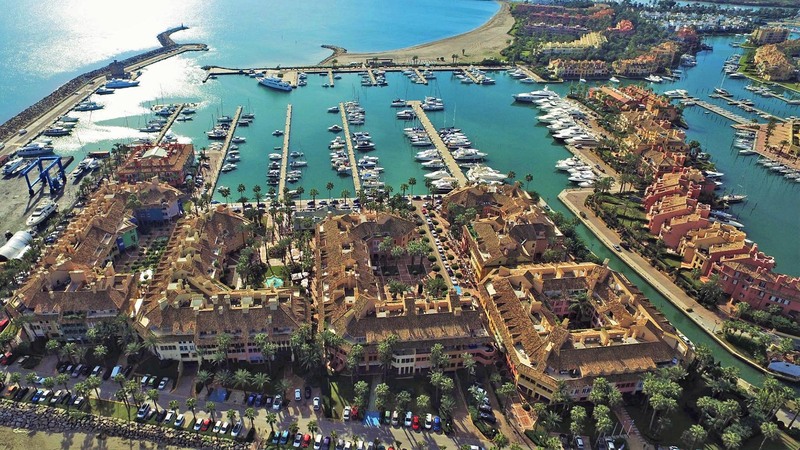 Located at 36 ° 17’24 ‘north latitude and 5 º 16’10’W, the Port & Marina – Sotogrande has an entrance 80 meters wide and 4 meters deep. The depth in the rest of the port is between 3 and 5 meters. The services offered are among others, general information and weather, toilets, showers, parking, water and electricity connections, icemakers, laundry, TV, postal services, dry dock, divers, workshops, cranes, poles gas oil and gasoline, chandlery and equipment for all types of yachts. Its 545 berths for yachts of between 8 and 100 meters long, 25% of which is on a lease makes it easy for the many visitors to enjoy its facilities throughout the year. The marina is a perfect complement to the surrounding residential development. The Sotogrande Marina was developed paying close attention to detail ensuring beautiful architecture and quality throughout. No expense was spared and as a result, Sotogrande is one of the most prestigious marinas in Spain and the resort properties are some of the most sought after in Europe. 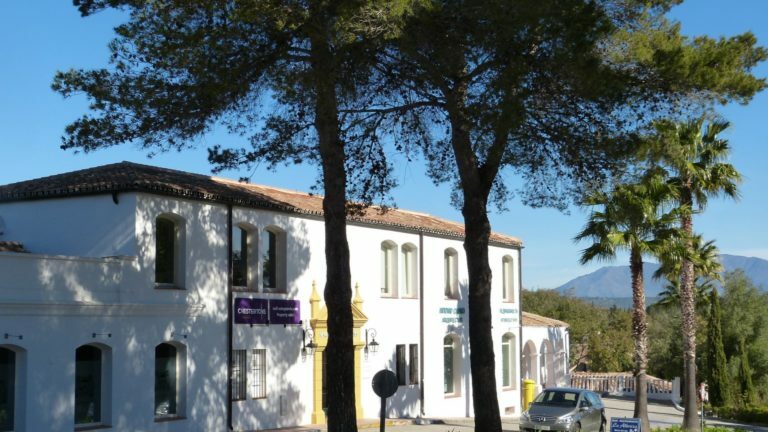 Sotogrande Marina has a sailing and yachting club offering a wide variety of boating activities to suit all individual requirements including RYA courses, boat hire and chartering services. Sotogrande Marina offers a peaceful retreat by day and night with a selection of bars and restaurants offering the perfect atmosphere to dine alfresco. Ke Bar seems to be the meeting point for all of Sotogrande.